Man is the best computer we can put aboard a spacecraft...and the only one that can be mass produced with unskilled labor. NaN was introduced, at least officially, by the IEEE Standard for Floating-Point Arithmetic (IEEE 754). It is a technical standard for floating-point computation established in 1985 - many years before Python was invented, and even a longer time befor Pandas was created - by the Institute of Electrical and Electronics Engineers (IEEE). It was introduced to solve problems found in many floating point implementations that made them difficult to use reliably and portably. 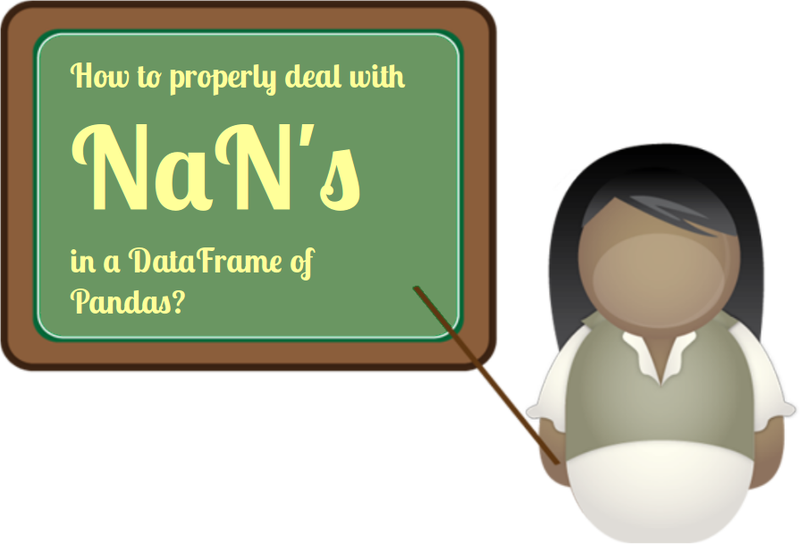 This standard added NaN to the arithmetic formats: "arithmetic formats: sets of binary and decimal floating-point data, which consist of finite numbers (including signed zeros and subnormal numbers), infinities, and special 'not a number' values (NaNs)"
Before we will work with NaN data, we will process a file without any NaN values. The data file temperatures.csv contains the temperature data of six sensors taken every 15 minuts between 6:00 to 19.15 o'clock. We will use now a data file similar to the previous temperature csv, but this time we will have to cope with NaN data, when the sensors malfunctioned. We will create a temperature DataFrame, in which some data is not defined, i.e. NaN. We will randomly assign some NaN values into the data frame. For this purpose, we will use the where method from DataFrame. If we apply where to a DataFrame object df, i.e. df.where(cond, other_df), it will return an object of same shape as df and whose corresponding entries are from df where the corresponding element of cond is True and otherwise are taken from other_df. Now we will calculate the mean values again, but this time on the DataFrame 'cleansed_df', i.e. where we have taken out all the rows, where more than one NaN value occurred.